The Vila Galé Náutico hotel is the ideal place for your Summer holidays with an all-inclusive system. 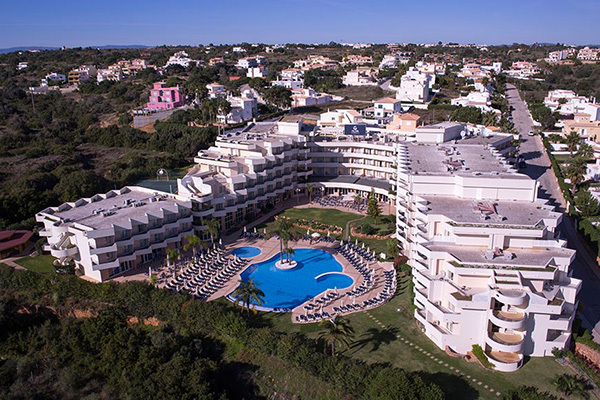 This hotel located in Armação de Pêra, very close to the town’s center and only a few meters from the beach, invites you to enjoy days full of amusement, dives and great gastronomy from the Algarve. With its navy style and nautical sports inspired decor, the 233 rooms of the Vila Galé Náutico are prepared for families with children. 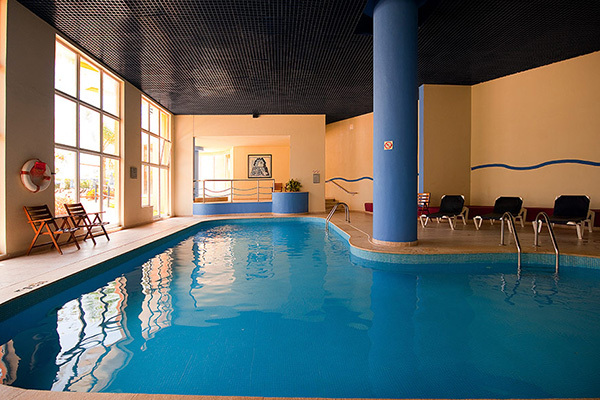 As soon as you arrive, all you’ll have to worry about is resting and enjoying the outdoor pools, the playground and the children’s club for the little ones; the multi-sports field or the health club with heated indoor pool, Jacuzzi, gym and massage room. Besides offering free wi-fi access, the Vila Galé Náutico hotel has two bars and one restaurant. At the latter, give in to the theme nights or to the Summer entertainment, intended for all ages. There are themed shows, gastronomical experiences and even gymnastics lessons to enjoy. 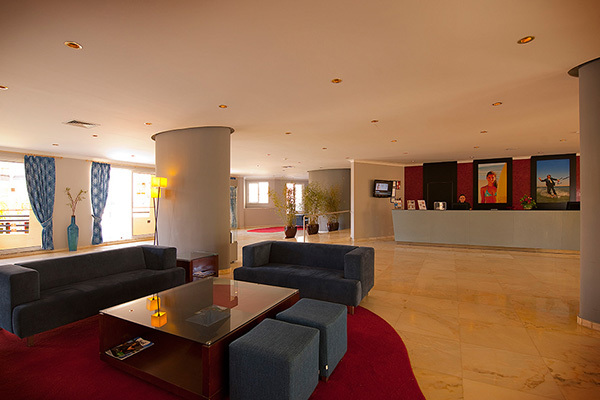 In this hotel in Armação de Pêra, the hardest part will be choosing what to do. When in doubt, seek refuge on the balcony, or have a pleasant reading by the pool. 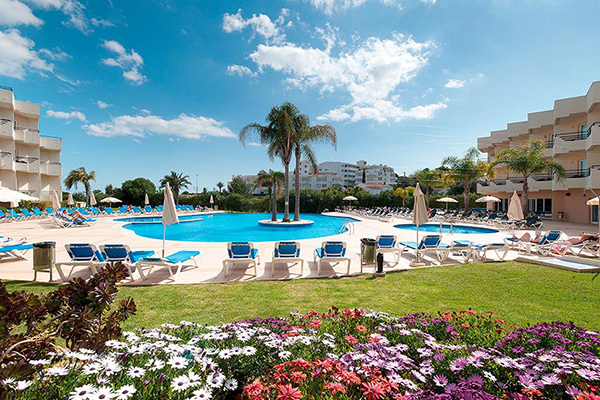 You may also get to know the town, strolling by the restaurants, bars and shops, or tour along the Algarve coastline on a boat ride, meandering through caves and paradise-like beaches. The Chapel of Nossa Senhora da Rocha is a must-see site as well, with its stunning view that guarantees fantastic pictures to share on social media. 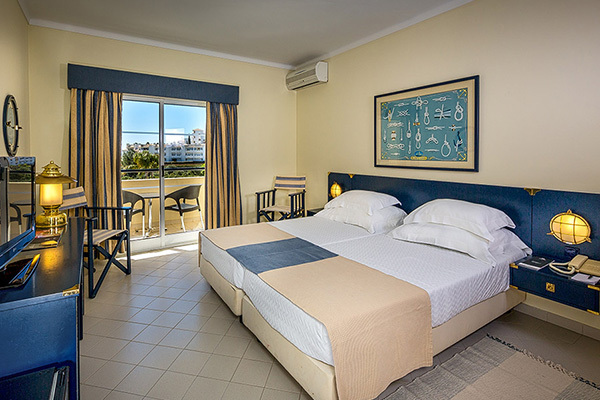 Considering the location of this hotel in Armação de Pêra, you can quickly get to one of the region’s theme parks such as Zoomarine, Aqualand and Aquashow, to enjoy a few hours of great fun. Vila Galé Náutico has a total of 233 bedrooms. Among them, we highlight 25 junior suites that are suitable for families. Three rooms are adapted for people with reduced mobility.